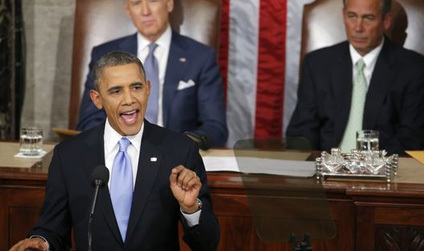 The president delivered his sixth State of the Union address at a joint session of Congress on Jan. 20, 2015. President Obama addressed many of the accomplishments of his administration as well as addressed points on improving the economy. The president also discussed his commitment to improving the Federal minimum wage and paid leave for American workers discussing both a need for paid family leave as well as sick leave. In addition, it is the hopes of President Obama that Congress will provide opportunities for tax credits for working families and 2 years of community college free.